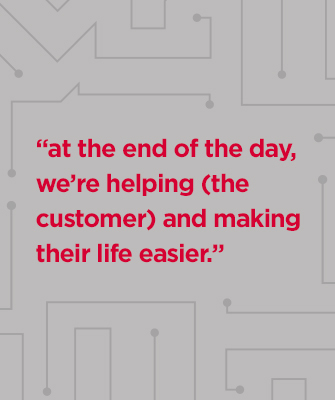 CyberPower continues its Customer Spotlight feature with Leisa Johnson. She is a reseller for CyberPower, and works for RAM Computer Supply in Denver, CO. She has been a CyberPower VAR since August 2017. The strong relationship with her customers is one of the reasons why she sells CyberPower products, “CyberPower is much more economical than its competitors. 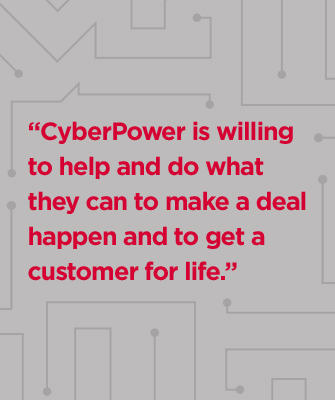 Plus, CyberPower is willing to help and do what they can to make a deal happen and to get a customer for life.” CyberPower is able to make her customers’ lives easier through our service and economical pricing. Originally from the Knoxville, Tennessee area, she graduated from the University of Tennessee at Knoxville. She worked with GE until she followed her first husband out to Denver. Her retired mother still lives in Tennessee on 89 acres of Appalachian Trail property that has been in her family for generations. “It’s very wooded and very rural. You’re a good half hour pretty much from any grocery store. The original homestead is still there. We’ve always talked about retiring there and taking over the property.” Leisa says as her voice wavers off like we all do when we talk about retirement.